In 2013, the Bachelor’s programme Architecture, Urbanism & Building Sciences (‘Bouwkunde’) has been renewed, partly based on the TU Delft’s policies on ‘study success’. Content-wise, the transition can be characterised as the shift from a multidisciplinary programme to an interdisciplinary programme. This contribution focuses on this successful shift and on the challenges that we face(d) with respect to bringing disciplinary cultures together. The minor Privacy Studies successfully attracts students from many different backgrounds. 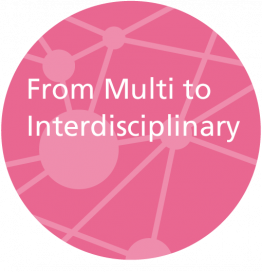 However, the two introductory courses, during which students learn about key research in multiple fields, remain multidisciplinary rather than interdisciplinary. We are currently studying ways in which students can engage with the diverse research materials in an interdisciplinary fashion, for instance in groups according to their study background. Here, we will present our current programme, our challenges and the future outlook.